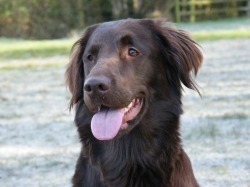 Quiddelbach is based in Northamptonshire and we are dedicated to the breeding and training of healthy, fit for function Flatcoated Retrievers who adhere to the breed standard. I first fell in love with the Flatcoat back in 1989 when I was competing in agility with my Border Collie and I finally fulfilled my dream when Brooke came to live with us in 2007. All our dogs are first and foremost family pets who live in the home alongside us. Brooke has been lightly shown and has had success at open and championship shows, although she much prefers her gundog training. Despite my mistakes we are both learning lots and progressing nicely. 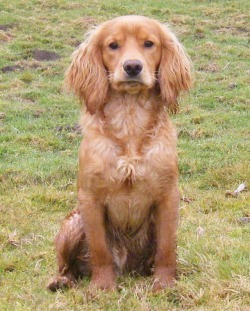 Jenson is our working cocker spaniel. He is an absolute delight to live with, easy going and very biddable. I am hoping to have Jenson out in the beating line next season. We are training hard and enjoying every minute of him. Jenson will be healthtested and we will update the site accordingly.